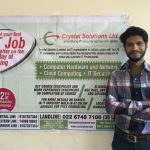 Crysol Academy is a training initiative targeted at bridging the massive gap in the availability of specific skilled resources needed by the IT Industry to deliver the technology projects undertaken by them. 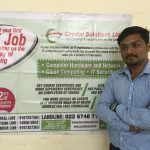 CPIT, a unique hardware and networking course was conceptualized by the requirement of large number of L1 resources in the industry. Most Institutes have 6 to 12 months training programs (Classroom & LAB ), yet at the end of it , most students find themselves jobless . The prime reason is that these courses are not designed to make the students Industry acceptable. 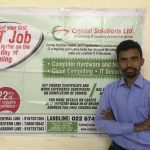 Crysol Academy , is a training division of Crystal Solutions Ltd. ( www.crystalonnet.com ). We have introduced a revolutionary hardware and networking course , which is short in duration , low fees and assures 100% Job with reputed IT Companies. To begin with , we do not identify ourselves as a training institute. We do not say “100% placement assistance “ we say “100% JOB GUARANTEE”, to emphasize our commitment, we give an offer letter of our company. Our course content is updated very regularly to keep up with Industry requirement. Training provided by Technical Resources and not regular Trainers. We include special skills which are in demand. To top it all , course duration is just 45-60 days. 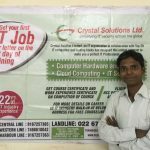 Crysol Academy kept their promise of 100% job guarantee , provided my placement with Kalyani Infotech site at Malad. Key technical topics are covered by technical professionals hence the students get knowledge which is relevant . The entire course is concise, as it covers only those skills which are needed by the industry but the skills are covered comprehensively. With an excellent infrastructure in place students get an opportunity for extensive hands-on practical. Each topic is followed by practical sessions. After every major topic is covered there is an evaluation of the student , to gauge how much knowledge the student has captured. As IT is a very dynamic industry where new technologies which are introduced regularly , we ensure that relevant knowledge as required is included in the course. We take pride in the knowledge provided to the students hence ensure that we bring only technology / relevant jobs to our students. 716/717, Reena Complex, Ramdev Nagar, Vidya vihar (W), Mumbai 400086. India.